Perhaps he/she is "royal" because its body is the normal "royal" blue? 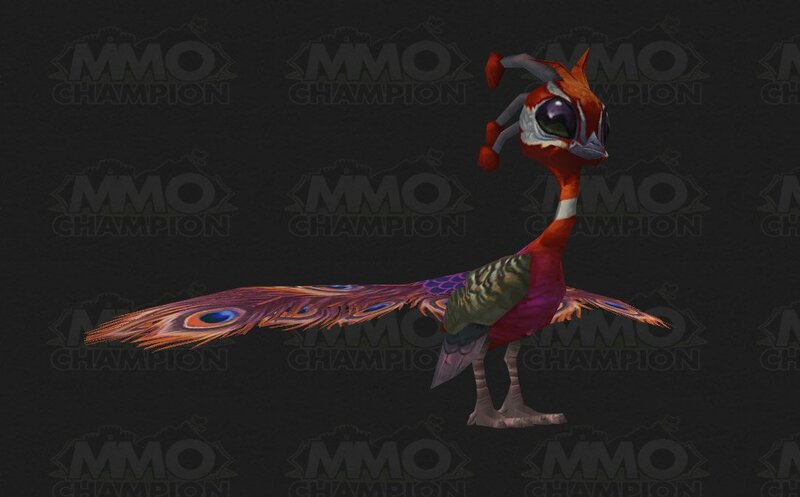 There's also a Polymorph: Peacock coming with this expansion, according to datamining. D'aaaawwwww! Look at 'im! So cutes! Obtained via the Draenor Pet Master Achievement, Auf Safari in Draenor. 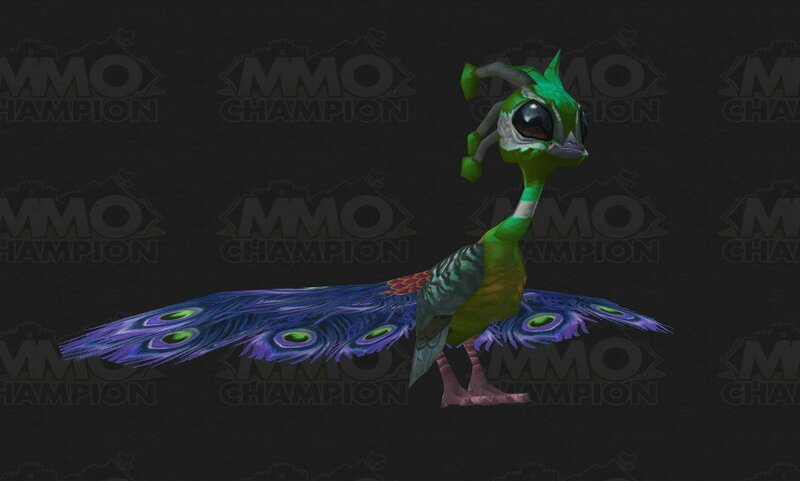 This little guy has a royal blue-crested head, with gigantic obsidian eyes, a green chest, and lovely green plumage. 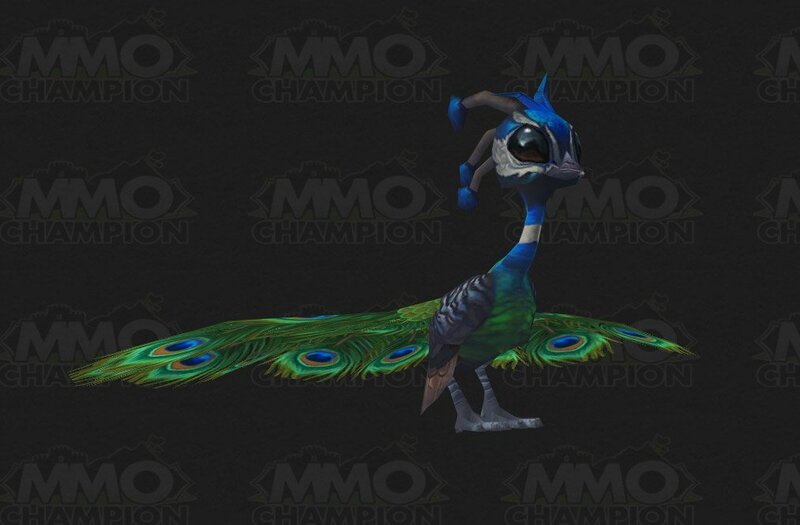 There's also a Polymorph: Peacock coming with this expansion, according to datamining. Hope it shares this model, in one of the recolors. It's so cute!..but.. shouldn't the tail-feathers be sticking straight up like a fan? Any pet battle experts that can vouch for how this pet handles itself in battling? Received this pet today after finishing the Dreanor Safari Achievement, cant wait to see how it peforms with its set of abilities. 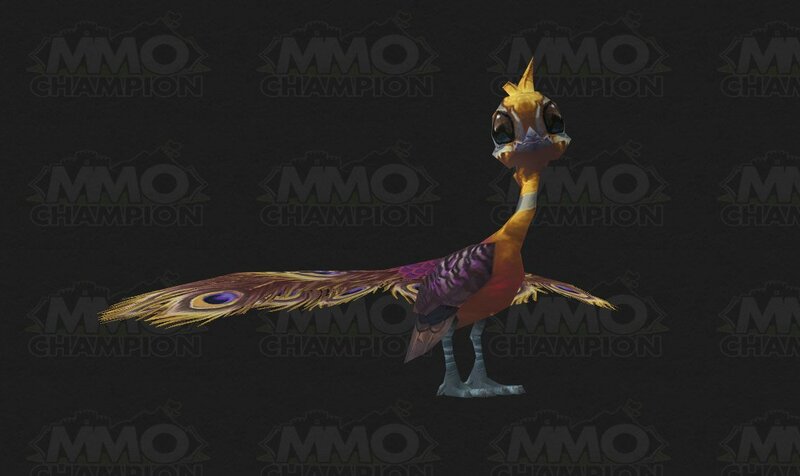 Renamed to "Royal Peachick" as of 6.2.